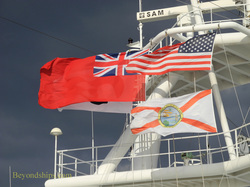 The beginning and end point for this cruise was Port Everglades, the cruise port for the South Florida city of Fort Lauderdale. 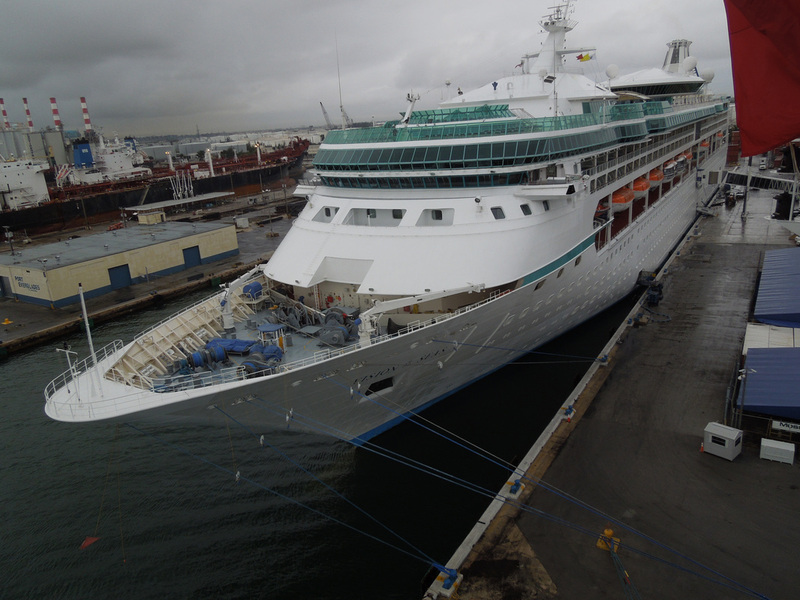 It was not an auspicious start to the cruise. The sky was gray and there were periods of rain. 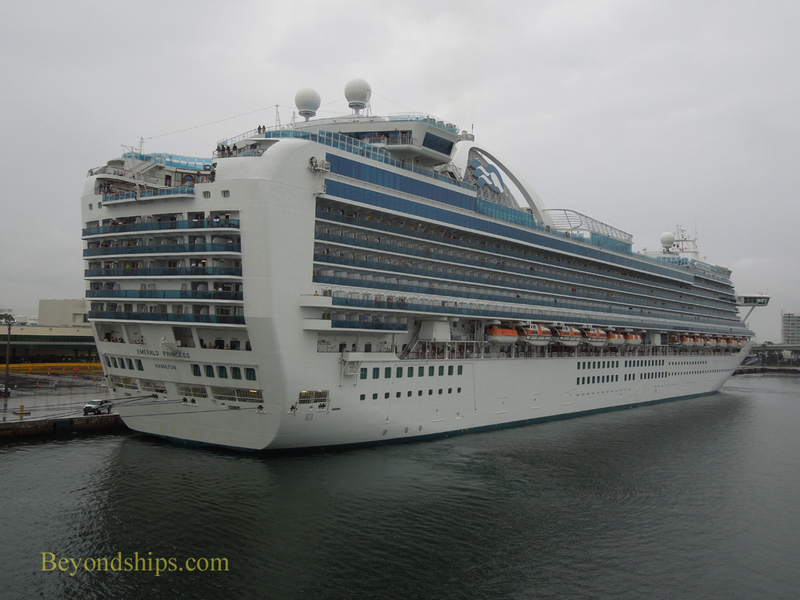 It would be that way again when Emerald Princess returned. Even Florida is not completely exempt from winter. 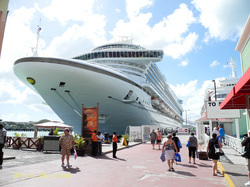 However, in between Emerald Princess would sail some 2989 nautical miles (3,440 land miles), most of the time in fine warm weather. 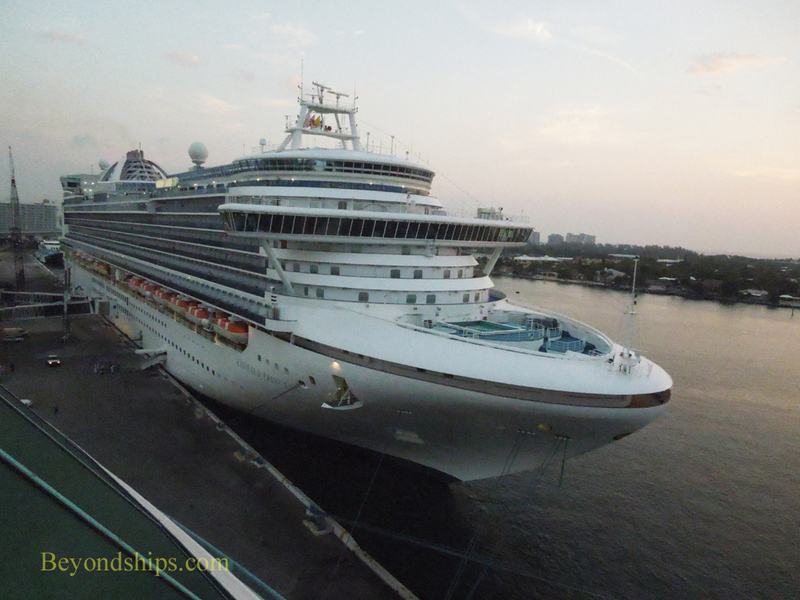 Unusual for Port Everglades, Emerald Princess was the only cruise ship in port on embarkation day. 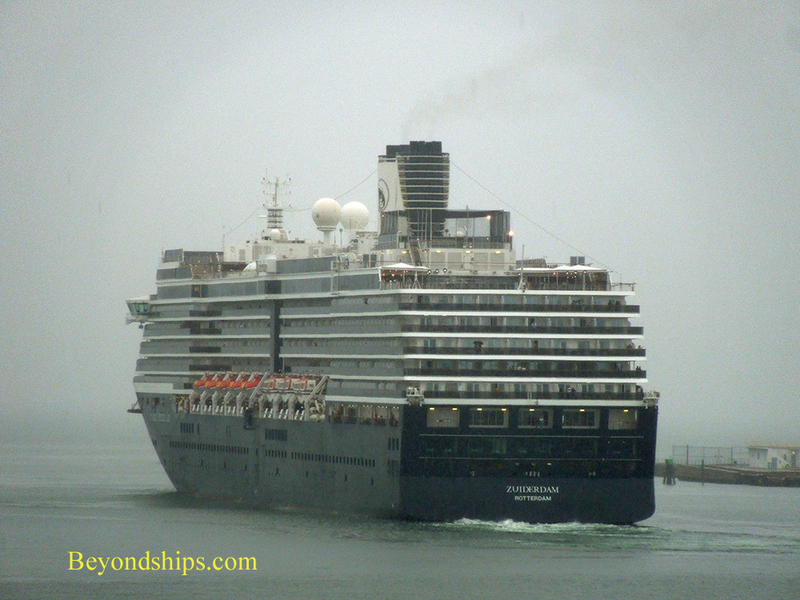 When she returned, Vision of the Seas (below) and Zuiderdam (below right) provided her company. 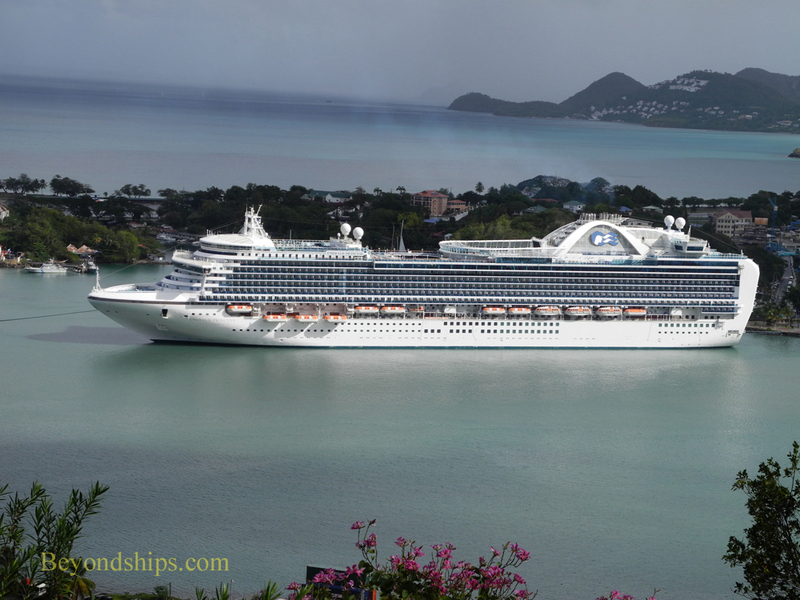 Following two days at sea, Emerald Princess arrived in St. John's, Antigua. A few puffy white clouds but otherwise a fine, sunny day for the guests to explore or just go off to one of the island's 365 beaches. 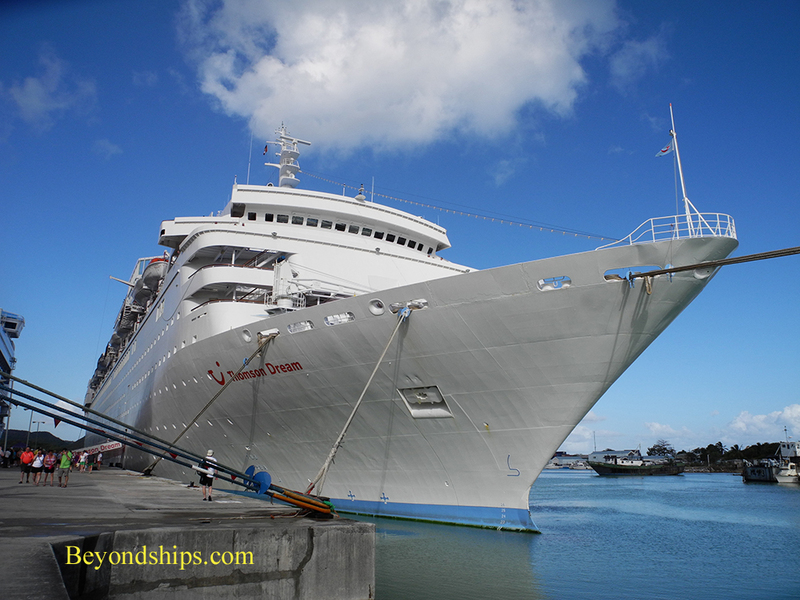 Also in port were Thomson Dream (above left) and The World (above right). 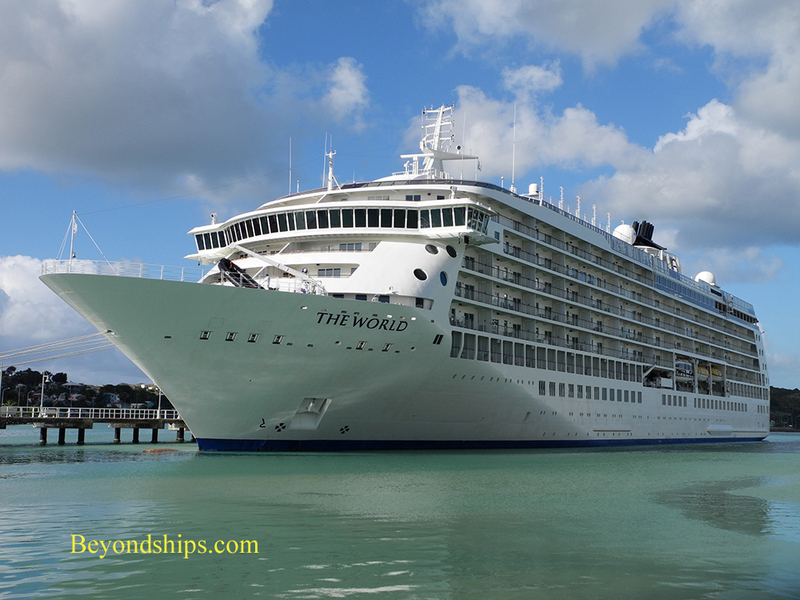 The World is a residential cruise ship. 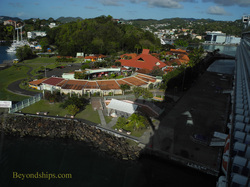 The weather in the next port of call, St. Lucia, was more temperamental There were showers but also long sunny stretches. 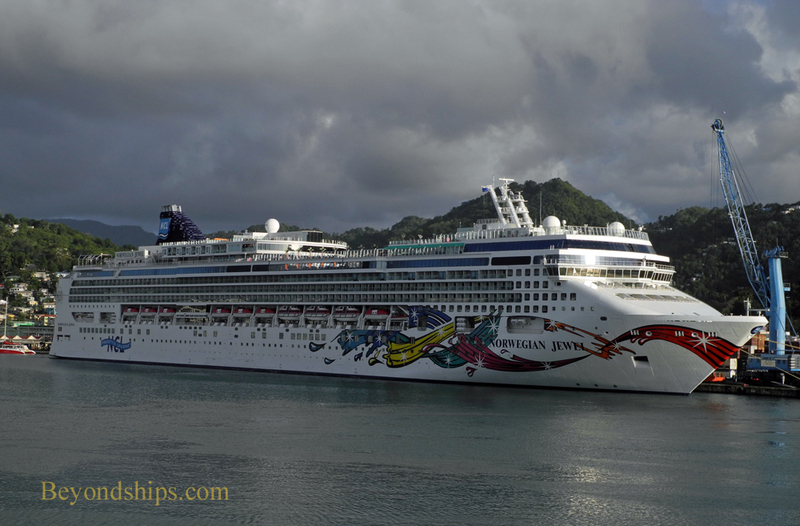 Sharing the port with Emerald Princess was Norwegian Jewel.